Sparkfactor had helped Wattage Personal Training with website updates in the past, so when they needed to do a more substantial update, they came to us for help. To update images of their West Loop location, we started with a Google Business View virtual tour. The Google virtual tour allows potential clients to see the inside of the open workout space, which includes the latest equipment and techonology to help clients acheive their goals. Once the virtual tour and point of interest photos were uploaded to Google, we started updating images around the site. New interior images were added to pages to give visitors a better idea of what the experience would be when walking into Wattage for the first time. Working within the exisitng framework, Sparkfactor also updated Wattage’s WordPress website, fixing small issues to help make the website run smoothly on both the back- and front-end. We made sure the HTTP/SSL was set up correctly and wouldn’t take the site down. 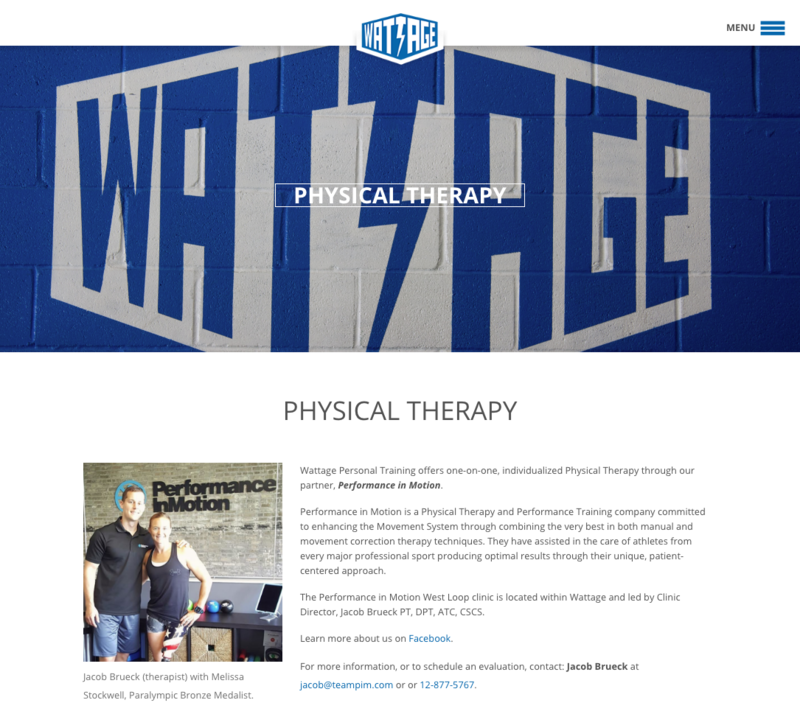 We updated the home page by removing and adding sections where needed, added in trainer bios and images, and added a new page for Wattage’s physical therapy services.